There are many good leadership resources. 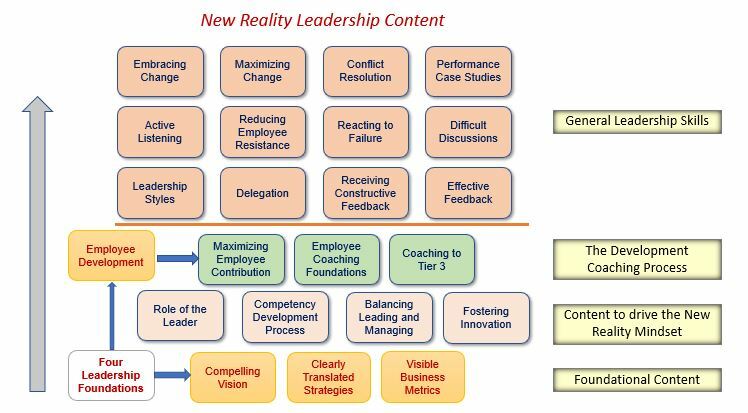 We want you to be confident that using New Reality resources will be the right choice for you or your organization. Test the process before you buy. We will help you apply a module with your team to see how it works and then you can choose how to proceed. Each month, we provide a free module or learning resource. You can try one of those or call us if you would like to test a different module. Here are sample pricing structures to give you an idea of costs. We can work with you based on your timing and budgets. ​Purchase all 23 modules for $1900.00. Work with an experienced coach to help you or your team apply the concepts to solve issues and business challenges. We can customize these offers based on your need. Contact us for ideas.